What is a natural enemy? 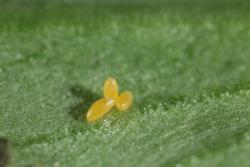 Eggs are yellow, 1-3mm long and laid perpendicular to the leave surface. 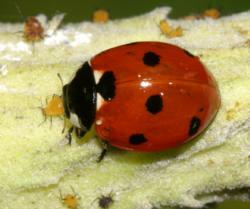 They are often laid in clusters near aphids. Larvae look like miniature alligators with six legs. Older ones are black with some orange and red markings. It’s hard to tell species apart by the larvae. The larvae shed their exoskeletons to become larger as they grow!  Adults are red and dome shaped. They are fairly large (6-9 mm long). The can be identified by the 3 black spots on each side and the one black spot where the wings meet (7 spots total!). Aphids. 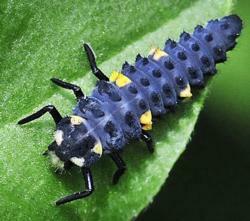 Both the larvae and the adults are predatory. Larvae often eat each other! They are also attacked by other insects such as lacewing larvae.